Fulton, Frederick John, lawyer, judge, and politician; b. 8 Dec. 1862 in Bedlington, England, son of Alexander Fulton and Barbara Gibson; m. 12 May 1909 Winifred Mary Davie in Victoria, and they had four sons; d. 25 July 1936 in Kamloops, B.C. After graduating from the University of Cambridge in 1883 and studying law, Frederick John Fulton immigrated to Canada in 1887. He briefly practised with Thomas Colhoun Haslett in Hamilton, Ont., and then moved to Kamloops, partly because of the good sportfishing in the area. In August 1889 he joined the local law firm of William Ward Spinks. From 1891 to 1900 Fulton acted as administrator and judge of the court of revision for the district of Yale. He became a qc in 1901. In 2010 Fulton and Company LLP would celebrate its 125th anniversary, dating its foundation to 1885, when Spinks started his business. As a politician, Fulton supported the introduction of formal party lines into the Legislative Assembly of British Columbia, and he accepted the nomination as the Conservative candidate for Yale North in the provincial general election of 9 June 1900. Nonetheless, he was elected as an independent candidate on a platform of “good government,” in opposition to the administration of Premier Joseph Martin*. In February 1902 he attended a caucus of opposition members led by Richard McBride*. 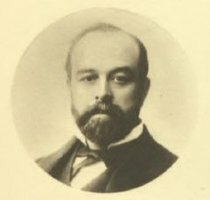 When Lieutenant Governor Sir Henri-Gustave Joly* de Lotbinière asked McBride to form a government in June 1903, he accepted and announced that his administration would be Conservative, thereby introducing party lines into provincial politics. Fulton successfully contested Kamloops in the general election of 3 October as a Conservative. He feared that the results of the general election might be challenged because, according to the Inland Sentinel, on election day he had taken “along with him cases of whiskey and a heeler [a subservient party worker] to pull the corks.” Recognizing Fulton’s experience and high standing in his profession and community, as well as the need in the cabinet for a representative of the province’s interior, McBride offered him the presidency of the Executive Council. The cabinet position was non-salaried, obviating the need for a by-election, an important consideration since McBride had a bare majority. After some hesitation, Fulton accepted, and he was sworn in on 5 November. Six months later, on 18 May 1904, he accepted the portfolios of provincial secretary and minister of education. He won the necessary by-election by acclamation, but the opposition Liberals complained that the Conservatives had unexpectedly advanced the date of nomination in an attempt to shut out the proposed Liberal nominee, who was on holiday in California. Fulton’s responsibilities as provincial secretary ranged from the care of indigents in unincorporated districts to the management of fisheries. 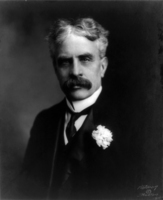 As minister of education he reorganized school finances so that rural residents would pay a share of the costs for local schools, and he introduced legislation that laid the groundwork for the University of British Columbia, established in 1908. When Charles Wilson resigned as attorney general, Fulton assumed the portfolio on 15 March 1906; the press claimed that he preferred his previous posts because they had given him more time for golf. Nonetheless, during his brief term as attorney general he successfully prosecuted the notorious train robber William (Bill) A. Miner. Yet he did not enforce all laws, disapproving of prosecutions under the Lord’s Day Act. In July 1907 Fulton retired from the attorney generalship but retained responsibility for lands and works. He also chaired two provincial royal commissions. The first, the irrigation commission, set up in August 1907, investigated problems in the Okanagan and Thompson valleys which were a matter of concern to residents of the province’s dry belt. His report led to new legislation on water rights in 1909. The recommendations of the second, the royal commission of inquiry on timber and forestry, 1909–10, resulted in the Forest Act, passed in 1912, that, in the words of historian Gordon Hak, “amalgamated policies of previous years and wrapped them in the rhetoric of conservation.” It “satisfied interests in the industry,” and allowed the government to increase its revenues. In October 1909 McBride had announced an agreement with railway contractors William Mackenzie* and Donald Mann by which they would extend their Canadian Northern Railway from Yellowhead Pass to Vancouver and build a line on Vancouver Island in return for a provincial guarantee on their bonds. Fulton opposed subsidies to railways and believed that the Canadian Northern would build to the coast without one. With fellow cabinet minister Robert Garnett Tatlow*, he resigned in protest; he did not run in the general election of 1909 but continued his work with the royal commission on forestry. He told McBride that his feelings about the Conservative electoral “sweep” were “somewhat mixed,” adding that he hoped that the railway policy would “stand the test.” Ironically, he later lobbied to ensure that the Canadian Northern would build a branch line into Kamloops. Fulton, who had never really abandoned his legal practice in Kamloops, returned to it on a full-time basis after he left the legislature; in 1910 he became city solicitor. In 1909 he had married Winifred Mary Davie, a daughter of Alexander Edmond Batson Davie*, premier of British Columbia from 1887 to 1889, and a niece of another premier, Theodore Davie*, who had held office from 1892 to 1895. She was an accomplished horsewoman and the owner of prize-winning English setters. 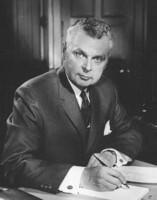 One of the couple’s four sons, Edmund Davie Fulton*, would serve as mp for Kamloops and a member of Prime Minister John George Diefenbaker*’s cabinet. 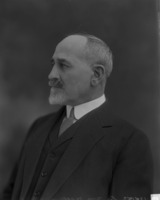 During the federal election of 1917, Fulton reluctantly accepted the nomination in Cariboo as the candidate of the Union government led by Sir Robert Laird Borden, and he won handily. Never known as an orator, he made just a few brief interjections in the House of Commons. In one speech on a no-confidence motion, he explained that the importance of the issue required him to “depart from my usual custom of registering a silent vote.” He paid little attention to the distant, sparsely settled parts of his constituency; only in the summer of 1921 did he visit Vanderhoof and the Peace River district. He even declared in 1917 that he would not seek a second term. 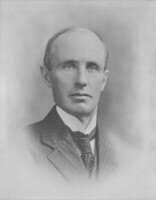 Prime Minister Arthur Meighen* persuaded him to stand again in 1921, but the Conservatives in Cariboo, judging him to be the “weakest candidate,” denied him the nomination. As he explained to Meighen, they let him “contentedly retire again into private life.” He spent his time practising law, raising a young family, playing golf, and tending his garden. Fulton died of pneumonia complicated by arteriosclerosis in his Kamloops home. He was so well respected that stores closed to allow people to attend his funeral, which was held in St Paul’s Cathedral and presided over by George Anderson Wells, the Church of England bishop of Cariboo. In a glowing tribute the Kamloops Sentinel remembered this reluctant but honest politician as “a man of a fine solid type,… in every way, a good citizen” who worked hard and eschewed glory. No private papers of Frederick John Fulton are listed in any archival institution. LAC holds his correspondence with prime ministers Sir Robert Laird Borden (R6113-0-X) and Arthur Meighen (R14423-0-6). Other relevant letters are held in the premiers’ records (GR-0441) at BCA. Apart from brief entries in various biographical dictionaries, notably E. O. S. Scholefield and F. W. Howay, British Columbia from the earliest times to the present (4v., Vancouver, 1914), there are no secondary sources with information specifically on Fulton. His obituary of 28 July 1936 in the Kamloops Sentinel (Kamloops, B.C.) noted that he “loathed personal publicity.” Thus, even though two good weekly newspapers were regularly published in Kamloops, they rarely mention Fulton except when he was acting in an official capacity. Information on his law firm can be found at Fulton & Company LLP, “History”: www.fultonco.com/history (consulted 30 Aug. 2016). BCA, GR-2951, no.1936-09-516549 (mfm. ); GR-2962, no.1909-09-017985. Daily Colonist (Victoria), 1 June 1904; 12 May, 22 Oct. 1909. Inland Sentinel (Kamloops), 1, 18 May 1900. Kamloops Standard, 7 June 1900; 26, 29 June 1907. Vancouver Daily Province, 6 Nov. 1903; 25, 28 May 1904. Mary Balf, Kamloops: a history of the district up to 1914 (Kamloops, 1969). CPG, 1900–17. G. [H.] Hak, Turning trees into dollars: the British Columbia coastal lumber industry, 1858–1913 (Toronto, 2000). Patricia E. Roy, “FULTON, FREDERICK JOHN,” in Dictionary of Canadian Biography, vol. 16, University of Toronto/Université Laval, 2003–, accessed April 19, 2019, http://www.biographi.ca/en/bio/fulton_frederick_john_16E.html.